TUCKER time at the Ekka used to be a hurried sandwich or a Dagwood dog and a strawberry sundae. Now the show has a restaurant that deserves a Michelin star ranking. It offers a selection of the world's best beef, much of it so exclusive it is rarely seen on Australian restaurant menus. 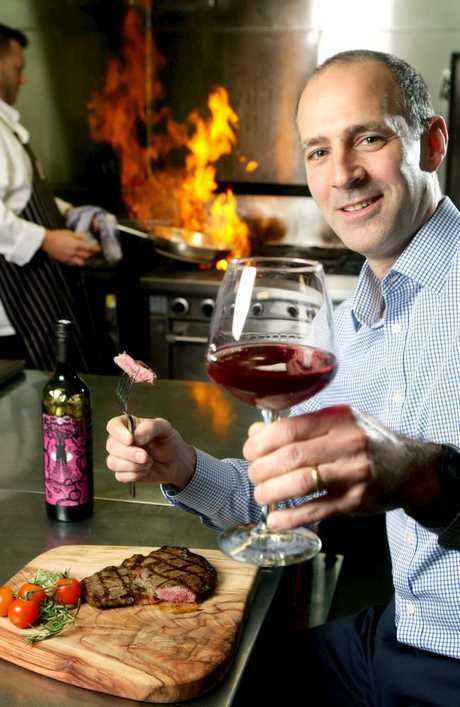 Royal Queensland Steakhouse was set up by JBS Australia and offers steaks judged the best at the show. Heading the list is a 300g Kiwami wagyu rib fillet ($69) from the Darling Downs, which won the Grand Champion Branded Beef award. It has a "marble score" of nine, a measure of the fat content that delivers the unique wagyu flavours. Kiwami is so exclusive you cannot buy it in any butcher shop in Queensland. It comes from the Hart family's Stockyard beef company, which pioneered grain-fed beef exports to Japan and in so doing launched Australia's billion-dollar grain-fed chilled beef export industry. Kiwami is mostly an export-only brand and finds its way on to the dinner plates of Hong Kong billionaires and Saudi Arabian princes. 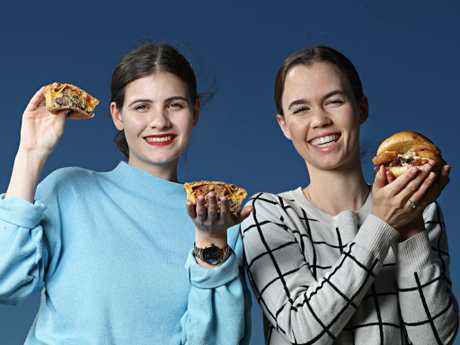 Ekka chief Brendan Christou said the restaurant was popular with visiting cattlemen and beef industry figures keen to sample the opposition. The Royal Queensland Steakhouse menu also offers a second prized wagyu cut - a grain-fed Tajima wagyu sirloin ($53) that won gold medal for Andrews Meats from Victoria. And there is a Tender Valley Black Angus Rump ($38) from NSW, which won a gold medal for JBS, and a Swift premium grass-fed eye fillet ($44) from Queensland, also a gold-medal winner. 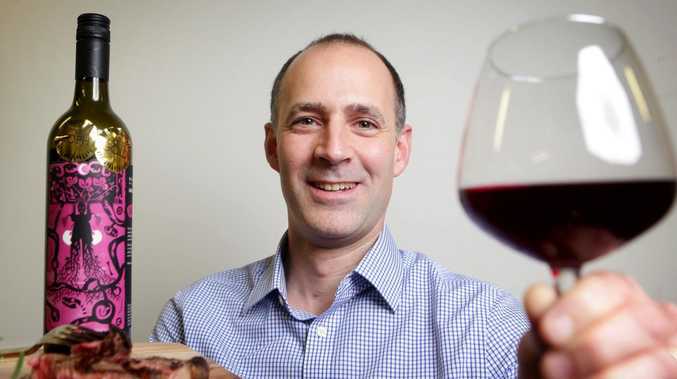 JBS has engaged a "beef sommelier" to help diners discuss marble scores, juiciness ratings and the State of Origin of the prize-winning animals. There is also seafood and vegetarian dishes and a selection of the champion cheeses. The restaurant in the new convention centre off Gregory Tce opens for lunch and dinner until August 18. IT'S delightfully disgusting and it's only at the Ekka. As the Ekka opened its doors, I became the first punter in Queensland to taste test The Big Mick, a burger within a pie. It's the creation of 46-year-old craft baker Mick Disalvatore, from NSW, who has won the Great Australian Pie Competition seven times. 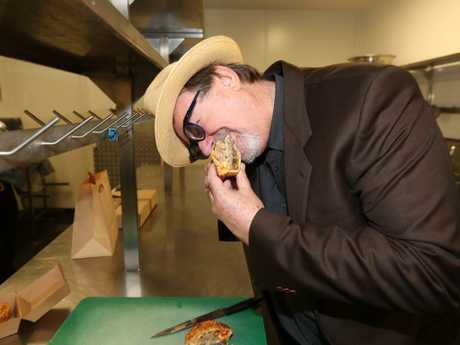 The Big Mick made its delectable debut on opening day of the Royal Show yesterday from Mick's pie truck on Gregory Tce. 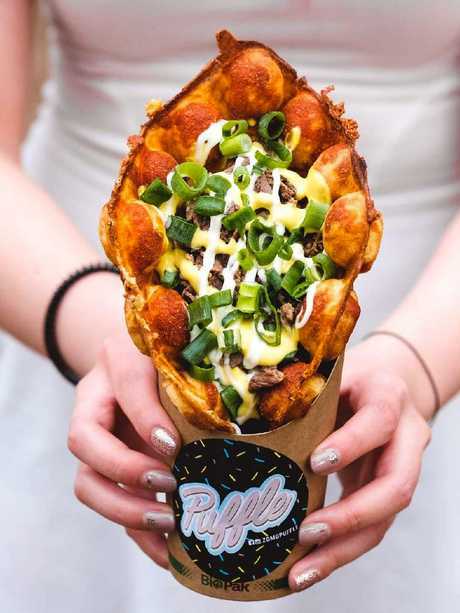 The burger pie is one of the new Ekka "delicacies" available at this year's show, including Puffle - a puffy waffle jammed with a variety of fillings - and a mac'n'cheese burger called the Mac Daddy. Mr Disalvatore admits his Big Mick is a play on the legendary McDonald's Big Mac hamburger. "It's a Big Mac in a pie, although I don't think I am allowed to call it a Big Mac pie so I call it a Big Mick pie," he said. It consists of two beef patties with onions, American cheddar cheese, gherkins, and sauce wrapped in a traditional pie case. 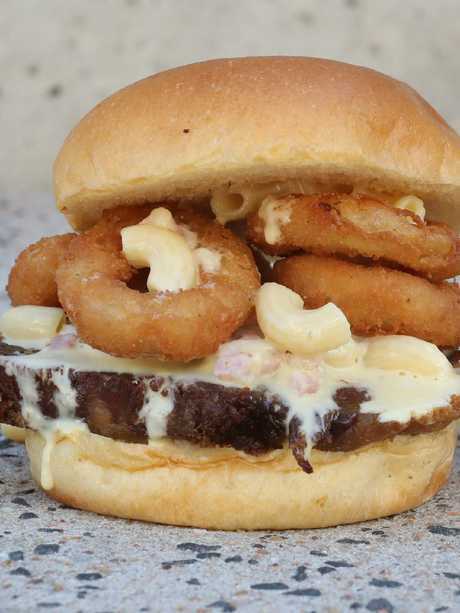 "It was created to taste like a burger, not a pie," he said. To call it a hearty meal would be an understatement. The beef is quite juicy and the pie is enlivened with a good dash of Sriracha, the fiery chilli sauce. And there is a secret ingredient Mick won't reveal. The pie is $6.50 and Mick is selling others from $5. Try a beef stroganoff pie, a beef lasagne pie with traditional bolognese sauce or a chicken, cranberry and cucumber pie. Mick launched the Big Mick at the Sydney Show. "It went off,'' he said. "One hungry bloke ate three in a row."